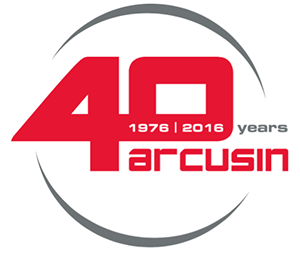 The Arcusin XP54 is a bale chaser with a more basic design. 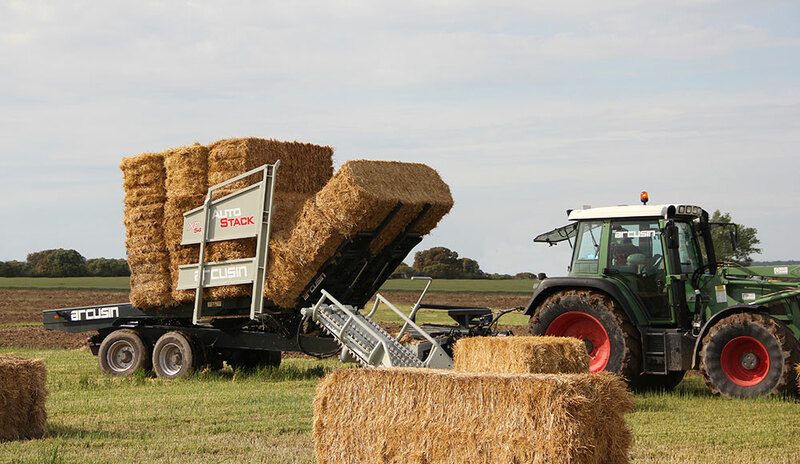 Aimed at large scale farmers and contractors who have the volume of bales that warrants the use of a bale chaser but comes in at a much more affordable price than others in the Arcusin professional FSX range. Will stack any dimensional size of standard length big bale to 5.4 metres of stacking height and still has the loading speed and efficiency of the Arcusin FSX machine. Partial loads of any size are easily handled with this machine to create a safe stack of straw or hay either inside a barn or outside. The XP54T model is now supplied with side panels and tandem steering axles as standard equipment. The machine is fitted with 435/50R-19.5 tyres as standard. Floatation tyres, 500/45 22.5 can be fitted as an option. All new machines carry a one year warranty against faulty manufacturing and defective parts, including associated labour costs.